You Are Here: Home > Why Choose FIAT? FIAT models are more than stunning good looks for Milford shoppers. They invite you into a colorful lifestyle filled with charming features and feisty engines. You will marvel at all the eyes on you whether you’re driving a beautifully sculpted FIAT 124 Spider, or a four-door class such as the FIAT 500. It attracts all drivers with its ability to pull the top down, enjoy available Bose® Audio System or SiriusXM Satellite Radio. The 124 Spider continues to maintain its sport-racing heritage. Do you prefer driving over the snow than down winding roads? Do you need room for a few more passengers? We have plenty of FIAT models that incorporate four-doors and nonstop action. Plus, they still incorporate FIAT’s spunky personality! The FIAT 500X craves the Milford snowy winters with all-wheel drive, selectable drive modes, and ultimate traction control. In addition, our FIAT four-door vehicles come with incredible engines that promote the best fuel economy in its respected classes. You will find a FIAT that complements your lifestyle. The 500L is ready to take on the city in style, whereas 500X is prepared to anything in any environment. Plus, your vehicles will be equipped Apple CarPlay®, Android Auto™, and more!  Why Buy Your Next FIAT at Contemporary Automotive in Milford? Our new dealership has been a beacon of light for those who want to see positive changes in their world. We are an eco-conscious, environmentally-friendly dealership that seeks to reduce our carbon footprint while providing you the best vehicles on the market today. We stand by our excellent customer satisfaction that features an expert sales staff and helpful finance department to get the right car for you. Buying a FIAT means you are becoming part of a rich history. The vehicle exudes fine-quality Italian craftsmanship and guarantees you an excellent performance every time. When you’re ready to schedule a test drive, please contact us.